If CEOs had three wishes, what would they be? Having coached and interviewed hundreds of them, I know one wish would be that the whole executive team see through the CEO’s lens into the inner-workings of the company and how each decision affects the interconnections. This is a common theme echoed throughout my coaching chambers. But having a CEO’s perspective isn’t something taught in an MBA program or a week-long leadership training. I started exploring how to tackle this, and as I did, another conversation started to materialize. Several emerging executives — the thought leaders and industry shapers of our future C-suites — expressed their craving for a supportive, development-focused environment. CEOs have the Young President’s Organization (YPO) and the Entrepreneur Organization (EO), but these options are scarce for other functional leaders. These execs wondered if I could create that for them. This is where the plot thickens. 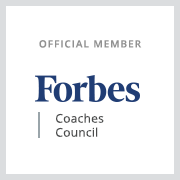 I built a team of CEO advisors and executive coaches, and what started to emerge from our thinking was an invite-only, educational, networking and immersive leadership experience that addressed these two significant challenges: the Leadership Lab no. 19 (LL19). On October 19th I will convene a highly curated, exclusive community of peers who have the desire and will to expand their capacity to think from the CEO’s perspective. This is the stepping off point for a year-long leadership experience. This initial full-day event includes speakers and interactive sessions that will result in deepened levels of self-awareness, stronger executive presence, heightened emotional intelligence, and improved ability to coach – for executives to use in their leadership. Each leader will be assigned to their Leadership Advisory Board (LAB), their personal thinking team. CEOs from companies like Accolade, Columbia Hospitality, Century Link, Allrecipes and OfferUp have hand-selected their rockstar leaders who have joined the program. And to give you a sense of who the best fit is – registered titles include: VP product, VP strategy, VP ops, CFO, CTO, COO, VP human resources, CMO, Chief Medical Officer and VP marketing. LL19 isn’t for everyone and space is limited. Check it out, and if you think it’s for you, shoot me an email quickly and I’ll send you the password to register. Cost is $3995 for the whole year. To learn more about registration, visit Leadership Lab no. 19. So what about the other 2 wishes? You tell me. As a CEO, what would you wish for? Teri Citterman is an executive coach and author of “From the CEO’s Perspective” which captures the intimate thinking, insights and wisdom of some of top CEOs. Teri is the founder/thought cultivator of the “From the CEO’s Perspective” leadership forums, a keynote speaker and contributor for Forbes.